I know what you're thinking: Another day in the life of Kylie Jenner, a new makeup look. It's no big deal. But ladies and gentlemen, get ready because this transformative makeup look is a Kylie you've never seen before; it shows a whole new spooky side of Kylie that's going to have you shook. YouTuber and makeup influencer James Charles had the honor of creating a stunning skull look on Kylie for his YouTube channel in celebration of the makeup mogul's Halloween line dropping tomorrow, October 12. If you're brainstorming Halloween makeup looks and are in need of something glam, you should re-create this ASAP. Surprisingly enough, Charles executed this half-skull makeup look in under 20 minutes, so it's not as complicated as it looks. To prove it, here's a play-by-play of how he did each step. 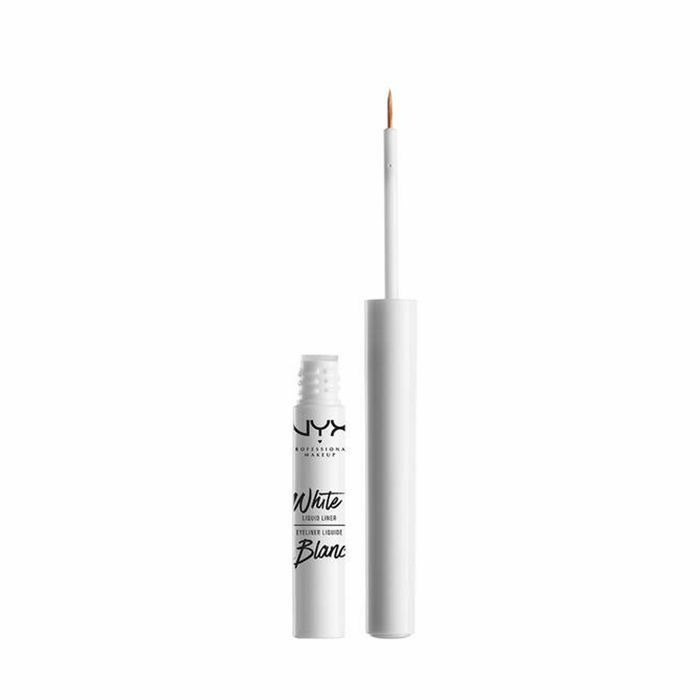 Although a few of the products he used from Kylie's Halloween line aren't available just yet, you can swap them out with the similar shades we've included below that'll get the job done. Pop a squat in front of your mirror and take notes on the below. Charles began by applying a bright, poppy coral shade from Kylie's Halloween palette called "Howl-O-Ween." He blended this over her entire eyelid. 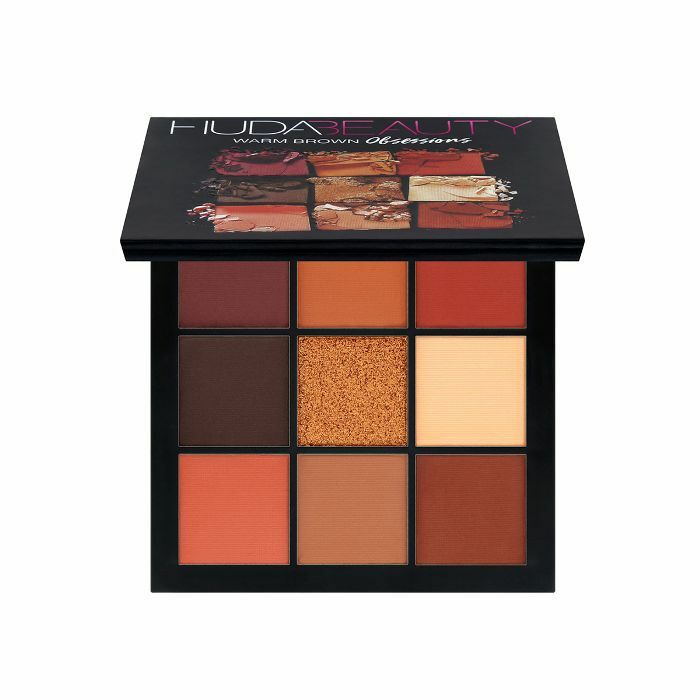 Try using a similar shade for your skin tone with this Huda Beauty palette. Next, Charles worked in a smoky effect by using a medium-sized eye shadow brush and a dark coral shade on the outer corners of her eye. Try a brush like this. Using a sparkly gold eye shadow doused in setting spray for staying power, Charles patted this on to the inner corners of Kylie's eyes. The brighter the gold, the better. 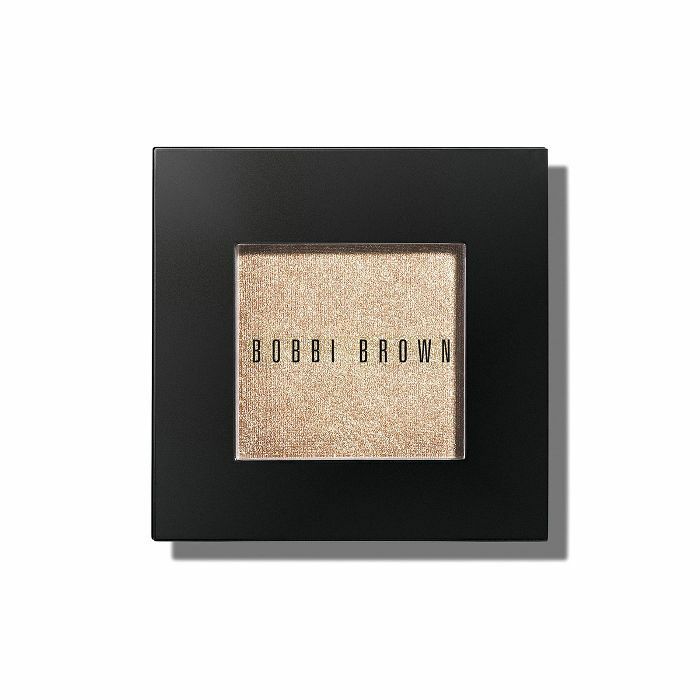 We love this gorgeous shadow from Bobbi Brown. Charles called it a “smoky purple moment." 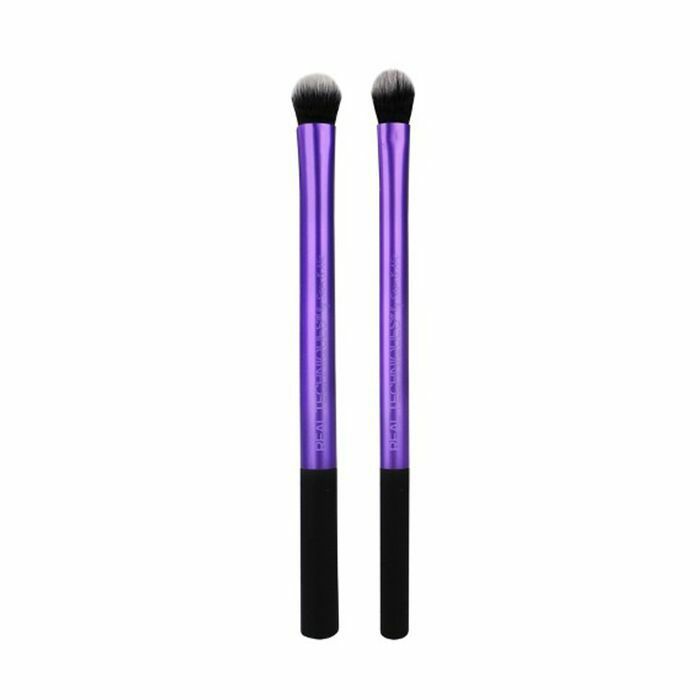 To add some drama, he swept the vampy purple shade from her palette called "Hex on My Ex" underneath her eye. Like Charles, you can create a soft winged eye shadow look by bringing this up to the outer-V eye area. 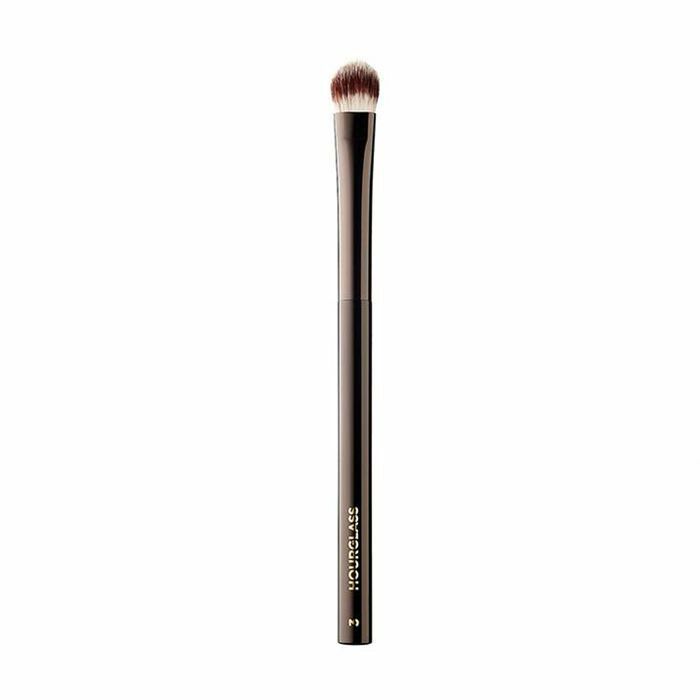 A smudger brush is crucial, and we highly recommend the below. What's a Halloween look without glitter? It wouldn't be right if Charles didn't add even more sparkle with a vivid glitter pigment. 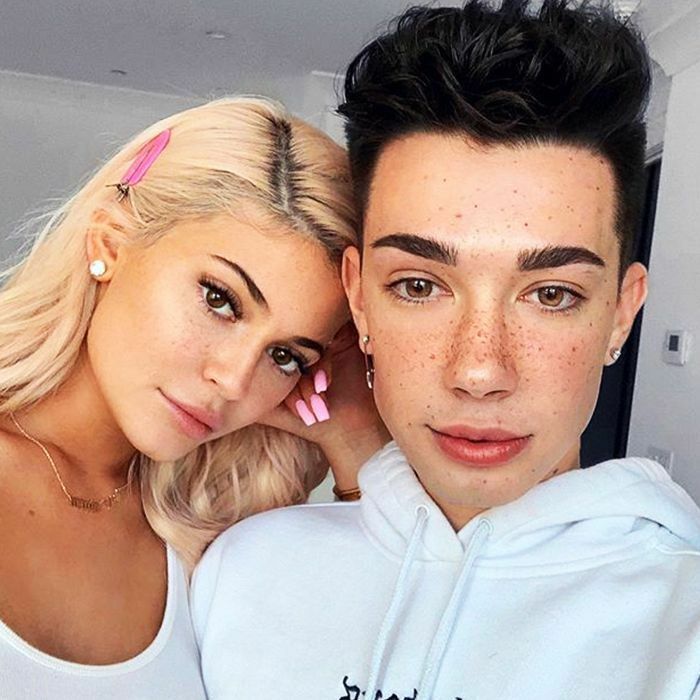 He used Kylie's product "Hello Ghordeous." 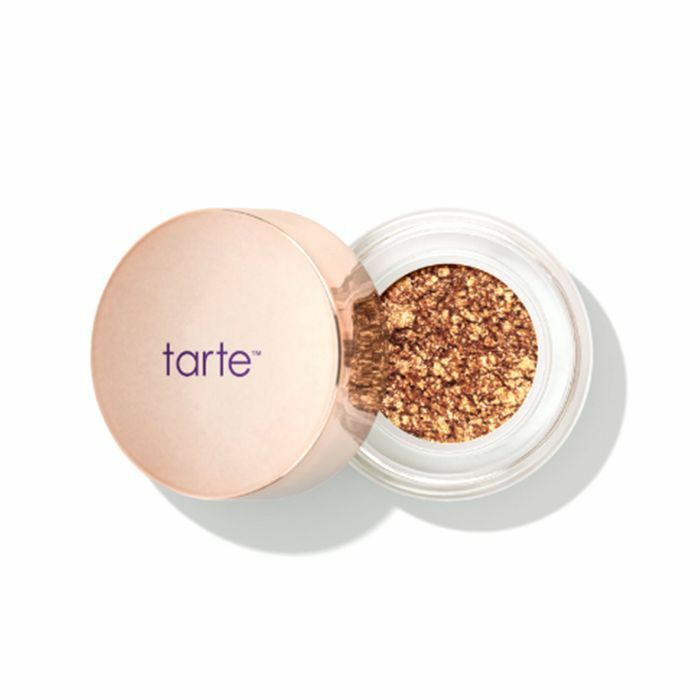 You can achieve a similar look with the below loose, creamy glitter pigment from Tarte. Time to get busy on the fun part, the skull. To start, Charles used a white eyeliner pencil to sketch out the skeleton starting right above her ear. Nearly any pencil will do and the below is a budget-friendly option. Next, using a white liquid liner with a precise tip Charles carefully drew the tiny teeth right above Kylie's mouth. 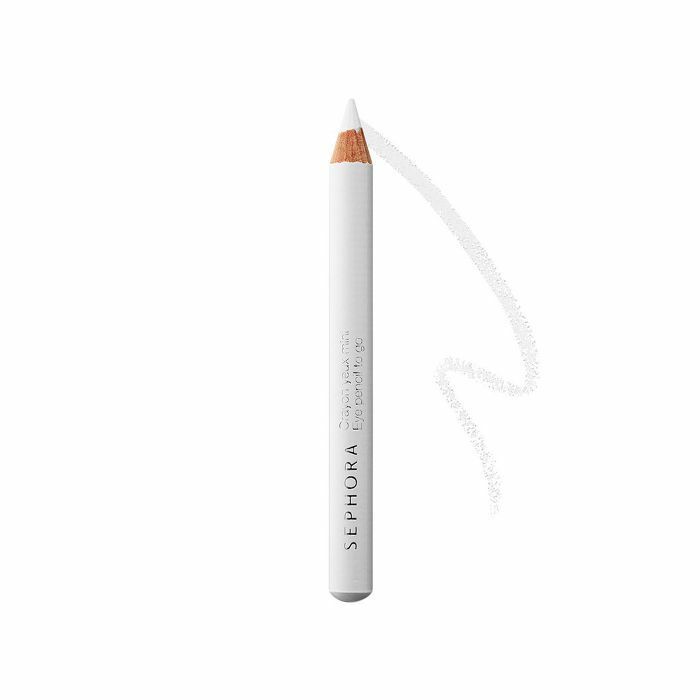 Try a bold white liquid liner like this. To add more dimension to the skull, he used a black liquid eyeliner to inner-line the white outlines to add even more depth. It makes the skull look even more prominent. 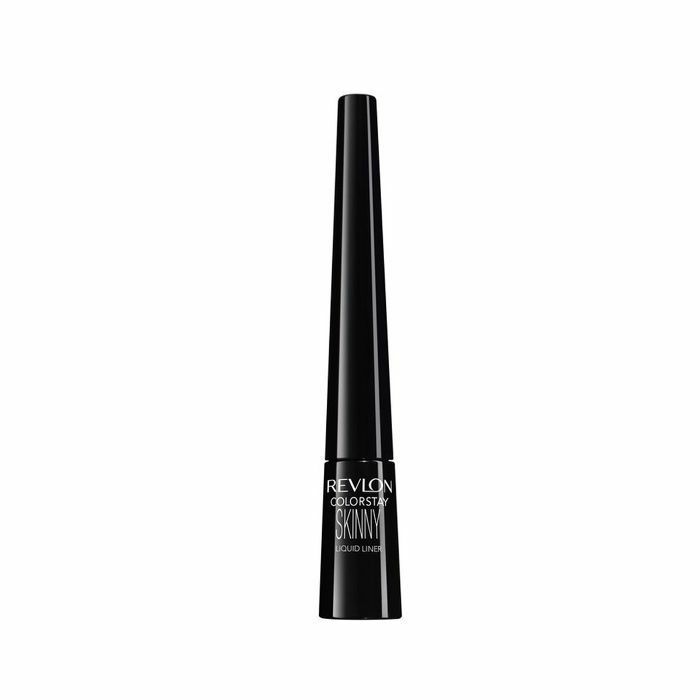 A non-budge black liquid liner is your best friend in this case, and we stand behind the below drugstore gem. For the finishing touches on the skull, Charles used the same dark purple shade from Kylie's palette he used on her eyes, "Hex on My Ex," to bring the look together. Purple is also just more glam than jet black. 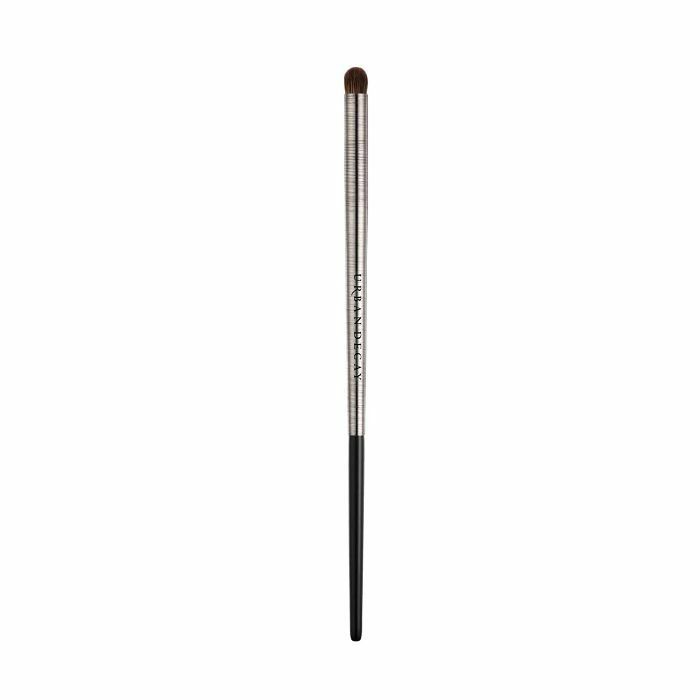 Brushes are essential in this moment, so reach for a thick shader and blender brush. This set has them both. We don't know Kylie without highlighter. Of course, Charles finished up the look with a gorgeous highlighter from Kylie's new collection, which is dubbed "Go Ghost" (I'm into that name for unrelated reasons). He added this on every high point of her face, including underneath the brow bone. He also spritzed her face with a generous amount of setting spray. 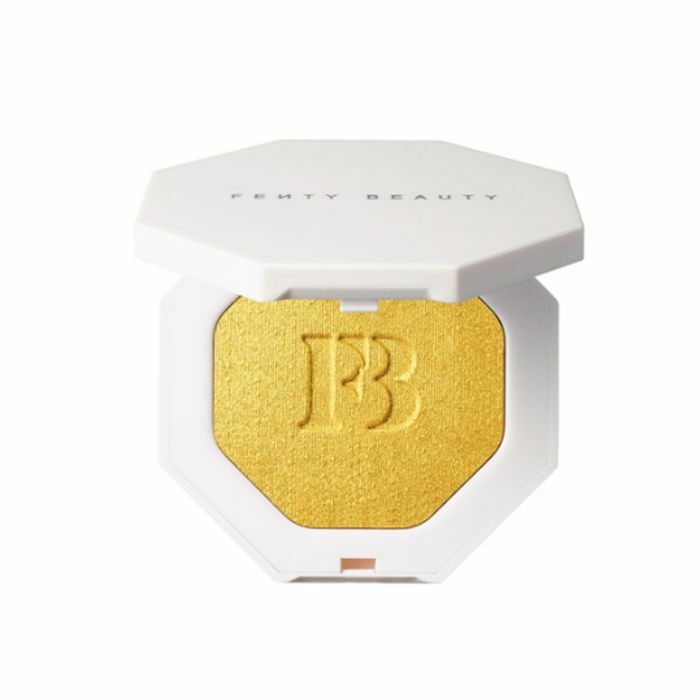 You can't snag the highlighter he used just yet, so enjoy Fenty Beauty's iconic Trophy Wife highlighter in the meantime for a similar effect. Boom! Here's spooky Kylie's completed half-skull look. Who is she?! Watch James Charles' full tutorial video below.